← Buzzwords and a Sphinx review of A Sprig of Rowan! … is a phenomenon: a cornucopia of poetry readings, workshops and talks with so many choices you know whatever you choose will mean you miss something equally good. There’s only a certain amount a person’s body and mind can take though so you have to pace yourself. Best not to think about all the alternative routes I didn’t take, nor dwell on what I lost but on what I found there by the sea along the huge shingle beach. When I looked out to sea I sometimes thought of teenage- me tossing up and down in a small yacht out there, thinking I was going to drown in the Force 6 gale, or had it only been Force 4? Norwich Writer’s Cafe Committee read on Friday night and they were all stunning. I can’t wait for Helen Ivory’s new book and Martin Figura is not to be missed with his Dr Zeeman’s Catastrophe Machine. He didn’t give us the whole thing this time of course but that show is incredible. Lewis Buxton, Julia Webb, Ramona Herdman and Stuart Charlesworth were all fascinating and so so different. Maria Isakova Bennett and Michael Brown (co-editor of Coast to Coast) both appeared in a reading called Voices from Northern Coasts, consisting of some of those who had received a Northern Voices award. This was one of the highlights for me with great poems from John Challis (memorable poems about his London cab driver Dad and about market stalls) and Charlotte Wetton. Michael’s poems were very moving about his father, daughter and dog. I hope these will be published soon. Maria read mostly from her gorgeous new book, All of the Spaces. Paul Stephenson from The Poetry School ( chief impresario, I think and brilliant at it as well as very, very nice) talked with the irresistible Hugo Williams who also read some of his poems.. this was a really enjoyable event showing Hugo William’s development as a poet. His last one about his sister was an unforgettable experience. Later, Jean Sprackland, Zaffar Kunial and Glyn Williams were scheduled together and their very different poetries made this a highly distinctive reading. I was blown away by Zaffar Kunial whose poetry is supple, frank, unnerving. I always love Jean Sprackland’s bright and illuminating imagery and was amazed by the verve and energy of Glyn Maxwell though I can’t follow him in a reading (nor on the page actually either if I am honest). Maria Apichella read from her very intriguing book, Psalmody based on a romantic relationship between a Christian and an atheist. By contrast, Nigel Pantling’s catalogue of weaponry felt like an intrusion but maybe that’s just me. 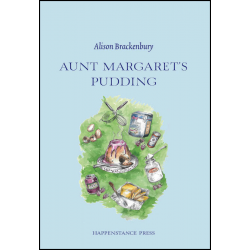 Lunch Poems with Alison Brackenbury and her new book about her Aunt Dot (with recipes), with Matthew Stewart and Rosie Shepperd and introduced by wonderful Helena Nelson was a revelation. But I decided I don’t think I go for poems just on food. Lovely to hear Alison B. My last event was the one in which I was reading, called Hot Mess – Poems around Climate Change all thanks to Maria Isakova Bennet. I had spent quite a bit of time worrying that my poems weren’t really about Climate Change and was heartened by the word “Around” in the title! Then I discovered my fellow Coast to Coast reader, MW Berwick, had been feeling the same and that we had both written brand new poems just for the event. Martin Bewick runs Dunlin Press and his poems are precise, unflinching and come from the natural world but with more human beings in it than mine. I found this poem to show you. We shared the platform with great Magma readers Polly Atkin and James Goodman. I went to three great workshops too with Jane Duran, Jean Sprackland and Coast to Coasters Maria and Michael in the South Look-out Tower where I got to write for a short while in the very top, up the spiral staircase, and was so excited I couldn’t write much but drew some squiggles on the paper. When Michael called in and said I needed to come back I realised I had to climb down the spiral! And then there’s all the stuff I didn’t get to in this highly concentrated poetic cocktail of a weekend. Like looking at the white space on the page, I will imagine what might have happened if I had navigated a different course through the Festival. A bit of a strange feeling to think like this… (rather like wondering what happened to my purse at Paddington Station on the way home and who separated it from me and how, an ancient skill requiring sharp eyes and sleight of hand). A huge thank you to Aldeburgh Poetry Festival from me. And thanks for your thoughts and photos of the festival. A great read! Wow! Rebecca – I am in awe of you navigating that spiral staircase – never mind the poetry : ) It sounds like a whirlwind of a weekend and one to be proud of. I have seen a pic. of you, Maria and Sharon up in that lookout in another place we know well. This is the best I have read about Aldeburgh – thank you for that. I will explore some of the poetry you have linked to. And I am glad you found the soothing sea and memories of your teenage years- I cannot see you without the sea somewhere nearby. It completed the picture.